This entry was posted in 03. 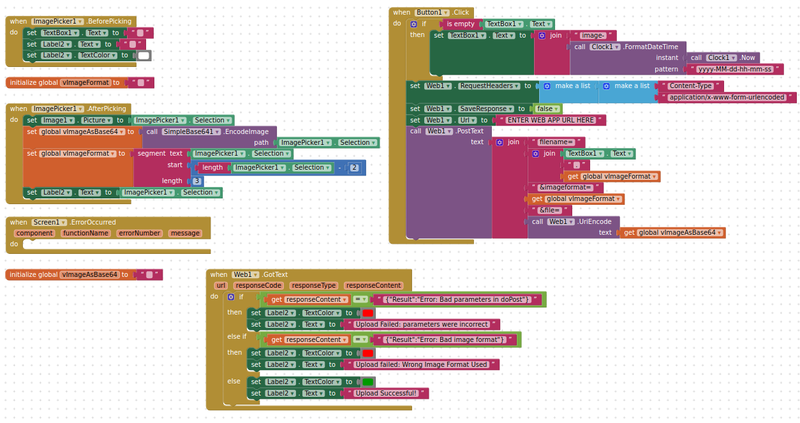 Android and tagged android, appinventor, google apps script, web by Metric Rat. Bookmark the permalink. Would that work to send a canvas background image to the drive ? I’m not able to get it working yet. any tip? Either use the image you have set to the canvas background or if you are drawing on the canvas as well, use the Canvas.SaveAs block either directly or after saving it as an image? Thank’s alot bro, all works. how modify script for add 2 textbox for description. Where will the content of the two textboxes go ? To a google sheet ? Saved the project and the published as a web app, running the app as you, and available to anyone? This needs to be done every time you make changes to the web app.